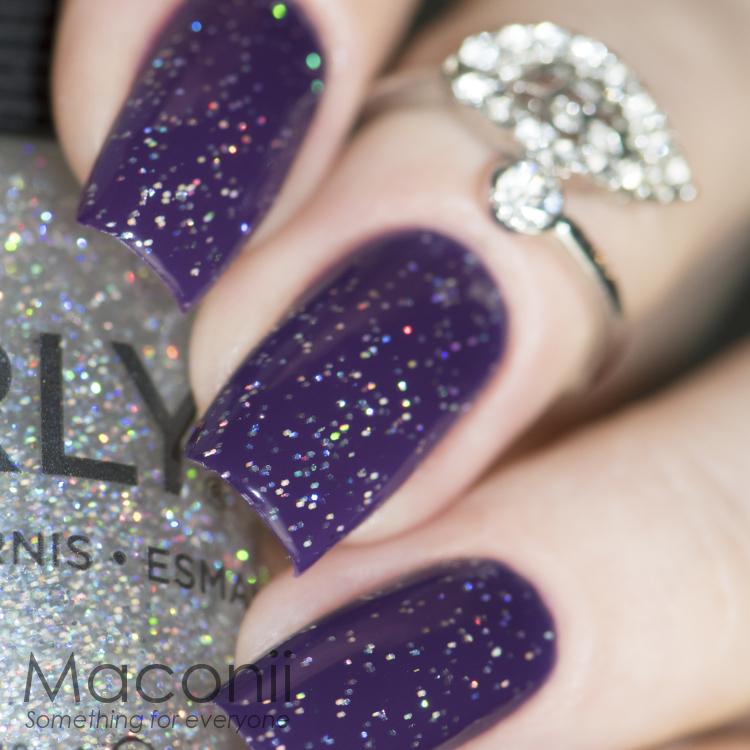 Orly's Shine On Crazy Diamond is a beautiful silver holographic fine glitter polish. Great on it's own or as a top coat. Images show Shine On Crazy Diamond painted over a coloured base colour.